We give you a one-of-a-kind dining experience like no other. 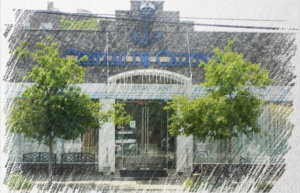 Set in the street of Coney Island Ave. in Brooklyn, New York, Chateau De Capitaine is a bar and grill restaurant serving lunch specials and Russian-style banquets. Through our talented and skilled master chefs, we can present our customers with a menu that is perfect for all kinds of occasions. We also have private rooms for groups who wish to celebrate parties. We welcome locals and tourists alike. As such, we do not only promise to serve our customers with a heavenly banquet, but we also strive to offer them with the highest standards of quality in customer service that would want them to come back again and again. It is our mission at Chateau De Capitaine to provide locals and tourists with first-class service to give them a whole new level of dining experience. The old adage, “Like father, like son,” holds true for our chefs. In Brooklyn, it’s not unusual to have famous siblings or relatives in the business, especially father-son tandems. Whether they’re cooking seafood together, prepping a banquet, or just supporting each other’s recipes. Relatives beget some of the most interesting characters to ever grace the restaurant business. At the helm of the company is Stanley, the son and protégé of renowned chef Alik of Chateau De Alik. He showcases his love of seafood in the variety of culinary adventures on the menu that awaits you. In addition to daily soup and lunch specials, our dinners and happy hours have a menu with a bit of everything, including Chef Alik’s personal favorites. Some of these are pickled tomatoes, chalakhach chicken tabaka, and roasted duck in fruit sauce.